It appears that opting for an electric vehicle is about to get a lot less expensive. 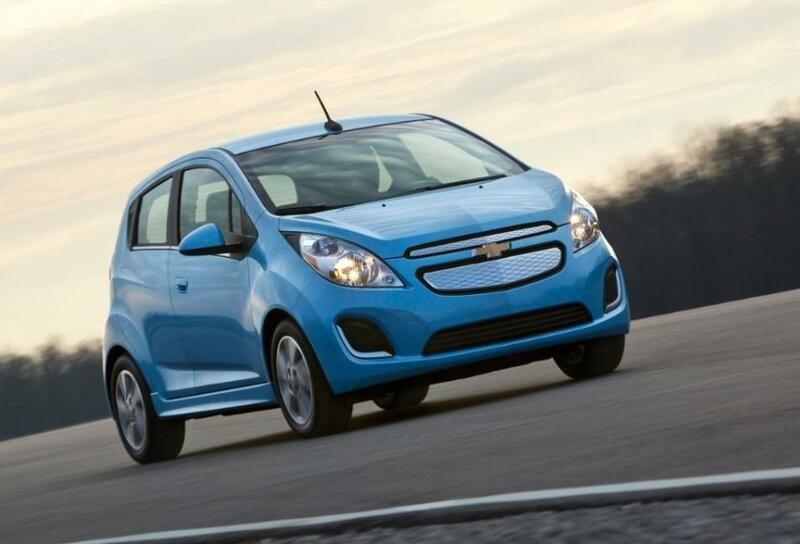 Chevrolet recently announced that the lease on the new 2014 Spark EV 1LT will be as low as $199 per month for a 36-month lease. There is of course, that “due at signing” number that automaker’s tend to run through quickly at the end of an ad, which for the Spark EV is $999 − including security deposit (tax, title, license dealer fees), you know, all the usual extras. Still, while its not quite that $70,000 Tesla Model S you’ve dreaming about, at $199 a month plus a thousand bucks down, the Spark EV makes it a lot easier to roll into an electric vehicle. Remember, no gas to buy. Ever. According to Chevy’s official press release for pricing, the Spark EV’s MSRP will start at $27,495, which is as low as $19,995 net after the full federal tax credit which ranges from $0 to $7,500 – and includes $810 destination freight charge. California buyers might also qualify for other state and local tax credits and incentives saving up to $2,500, which could knock the price down to $17,495. Chevy estimates that, on average, the Spark EV, which features a combined city/highway EPA estimated range of 82 miles when fully charged, can save drivers about $150 per month in fuel costs compared to the average new gas-powered vehicle. 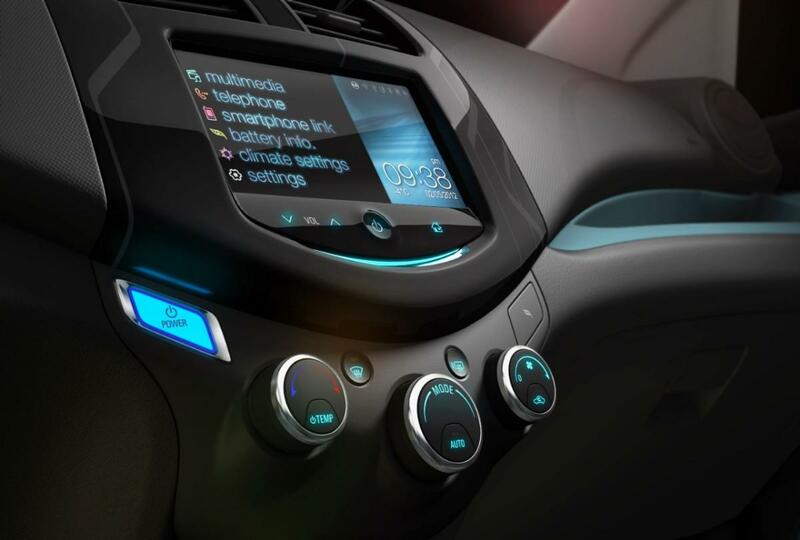 Available tech features will include Chevy’s MyLink infotainment system with a seven-inch touch screen integrated with third-party apps and features such as Siri Eyes Free, Pandora and BringGo navigation. The Spark EV, which features a 21 kWh lithium-ion battery pack, will also be the first vehicle compatible with the recently approved SAE combo charger for DC Fast Charging, which will enable the car to recharge up to 80 percent of its capacity in approximately 20 minutes. In addition, the EV will feature a RemoteLink app, which will allow drivers (with a compatible smart phone and active OnStar subscription), to perform functions like displaying the vehicle’s charging status, setting a charge mode when electricity rates are low, and remotely starting the car. Another feature, called the Spark EV Waypoint tab integrated into the RemoteLink app, will plot a route with recommended charging stations, which addresses a lot of the fear of getting stuck in some desolate area in the car with no charge. A C-NET report also confirms that GM will introduce a number of apps as part of its partnership with AT&T to offer 4G LTE connection in the second half of the year, which could make its way into the Spark EV as well considering the car’s young target demographic. However, unless you live in California or Oregon (where Digital Trends is located), you might have to wait awhile to cash in on all that cool technology. The initial rollout of the Spark EV will start in those two states beginning mid-June before launching in other markets, which likely will depend on how well the vehicle sells. Still, with other carmakers looking to compete in the same segment as the Chevrolet Spark EV, expect to see a lot more electric vehicles priced around the same range with similar gadgets, although likely none under the Tesla nameplate.